Attract a wider customer base by allowing them to choose a perfect product from a wide range of products with Facial recognition feature. From Digital Signage to Smart Surveillance, facial recognition technology delivers a much more positive experience to its users. Credencys, a reliable face recognition app development company, delivers face recognition technologies and applications for diverse industries around the globe. Being a customer driven company, we do not only develop face recognition apps but also we provide support service to our clients as long as they needed. Till now, we have developed facial recognition apps for iOS and Android platforms using our technical expertise. 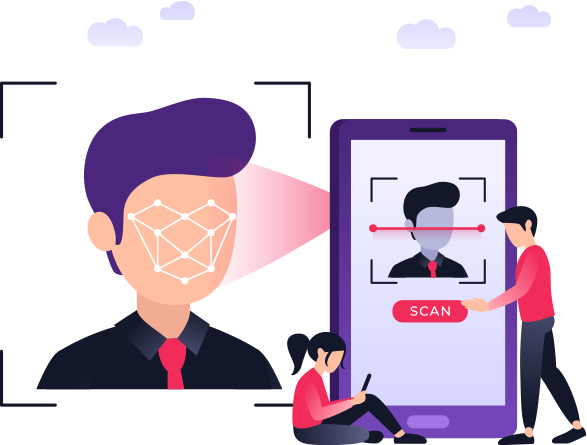 Our development team always dedicated to developing the most effective and bug-free facial recognition apps that help our clients reach to the maximum extent of satisfaction. 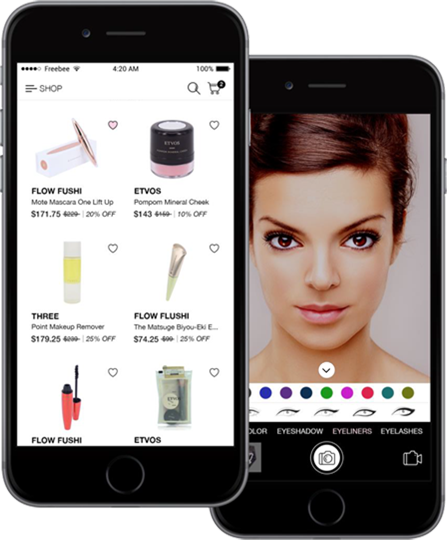 Credencys developed Blush app that deliver ‘Try before You Buy’ experience while shopping cosmetic products online. Integration of Augmented Reality (AR) allows users to try cosmetics on their face using the app. Integrated with features like Coupons, Refer & Earn, and messaging to other users & groups. Easy-to manage AR elements, refer & earn, community, ad campaigns/polls, etc. from admin panel. 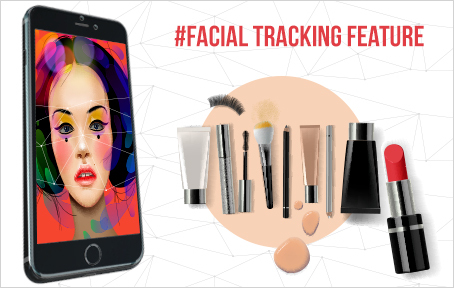 With AR face tracking app, you can allow customers to augment different cosmetics on their face and select right products as per their skin tone and facial features. Users can know how a new mascara, eyeliner, or lipstick looks on them in real time using their phone. The app with facial tracking feature also allows to share a new look with others, so users will get a valuable suggestion from their friends. Smoothen the process of jewelry selection using the AR face feature tracking solution. Users can pick the jewelry, augment it at a particular face area and quickly make a decision about how it looks. 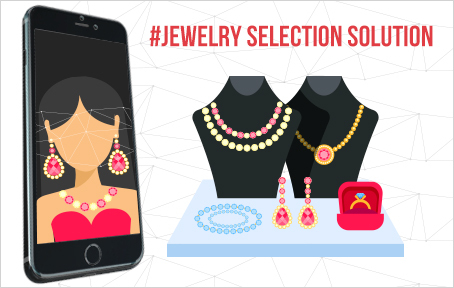 This app allows customers to access and choose the best designer jewelry from hundreds of designs and can share their favorite design through social media. Increase your brand value using the AR face tracking app for your eyeglasses business. It allows customers to choose the best and most suited frames from thousands of frames. 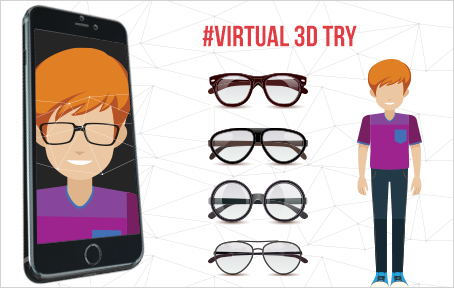 The virtual 3D try-on will enhance the customer experience by allowing them to try different glasses on the go. Consumer mobility will increase as they can make purchases anytime from anywhere using AR face feature tracking solutions. Hire our talented developer to integrate facial recognition feature in your application. Our creative minds will convert your idea into reality as per your requirements. Feel free to approach us any time, as we are ready to serve you with the best solution. Why Choose Credencys for Face Recognition App Development? Owing years of experience in varied industry domains, our team is familiar with the industry’s latest happenings and thus, offering the best possible solutions. We believe error means failure and thus, we try hard to deliver bug-free solution by writing codes in compliance with the stringent quality standards. Our experts offer a free consultation before development to understand your requirements and share their views to deliver the result-oriented solutions as per your requirements. Endeavoring to deliver a project of the highest standard of quality by addressing the issue quickly till the project meets as per client’s requirements.